Barba de Jolote (Pithecellobium arboreum) This is a dominant tree occurring nearly one per acre. It is inclined to be rather low branching, but attains 130 feet total height and 3 feet diameter. 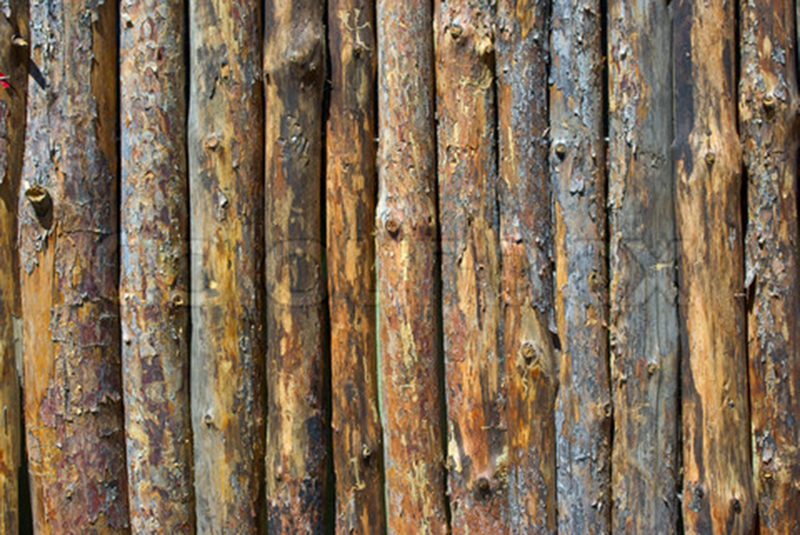 The wood is yellowing grey in the sapwood, merging to banded red brown and gold brown heartwood. The grain is coarse with a ribbon figure, texture is medium, and pores rather large. It weighs 45 lbs. cu. ft. It is 10% to 15% harder than mahogany. Shrinkage is moderate. It seasons well with little splitting and distortion. It is resistant to fungus and insect attack. It works fairly well, but sharp tools are necessary to prevent picking up of grain. It is probably not suitable for rotary peeling but would make good decorative veneer if sliced. Otherwise it could be used for most utility and constructional purposes and would make good furniture. This Central American wood is widely sold in the flooring industry as "royal mahogany" but in fact has nothing to do with mahogany (that naming convention is just one example of the gross dishonesty of the flooring industry when it comes to wood names). 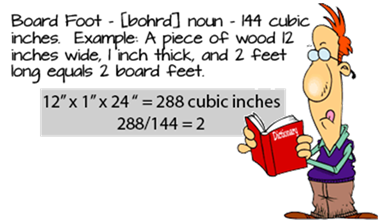 It does LOOK somewhat like mahogany and in addition to being reasonably attractive, it is quite hard, durable, and stable in use and thus it is used extensively for flooring. It is reportedly hard to turn but otherwise quite reasonable to work with in craft applications although that seems a little odd to me since it is quite hard and frequently has interlocked grain, both of which can make for hard crafting. 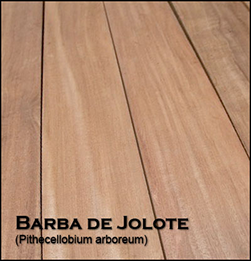 Common names for Barba Jolote include Wild Tambran, Bahama sabicu, Barba de Jolote, Barba jolote, Black tamarind, Cola de chancho, Turkey gill. 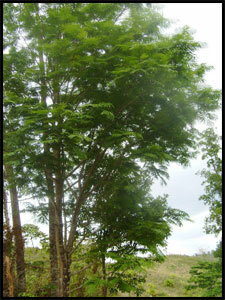 The massive Barba Jolote tree can achieve a trunk diameter of about 36 inches at maturity. Workability Easily worked by hand, and machines well, though presence of interlocked grain requires sharp blades for planing surfaces. Fasteners hold extremely well, and gluing properties are excellent.